The in‐situ diode laser spectrometer system, referred to by its historical name DACOM, includes three tunable diode lasers providing 4.7, 4.5, and 3.3 μm radiation for accessing CO, N2O, and CH4 absorption lines, respectively. The three laser beams are combined by the use of dichroic filters and are then directed through a small volume (0.3 liter) Herriott cell enclosing a 36 meter optical path. As the three coincident laser beams exit the absorption cell, they are spectrally isolated using dichroic filters and are then directed to individual detectors, one for each laser wavelength. Wavelength reference cells containing CO, CH4, and N2O are used to wavelength lock the operation of the three lasers to the appropriate absorption lines. Ambient air is continuously drawn through a Rosemount inlet probe and a permeable membrane dryer which removes water vapor before entering the Herriott cell and subsequently being exhausted via a vacuum pump to the aircraft cabin. To minimize potential spectral overlap from other atmospheric species, the Herriott cell is maintained at a reduced pressure of ~90 Torr. At 5 SLPM mass flow rate, the absorption cell volume is exchanged nominally twice per second. Frequent but short calibrations with well documented and stable reference gases are critical to achieving both high precision and accuracy. Calibration for all species is accomplished by periodically (~4 minutes) flowing calibration gas through this instrument. 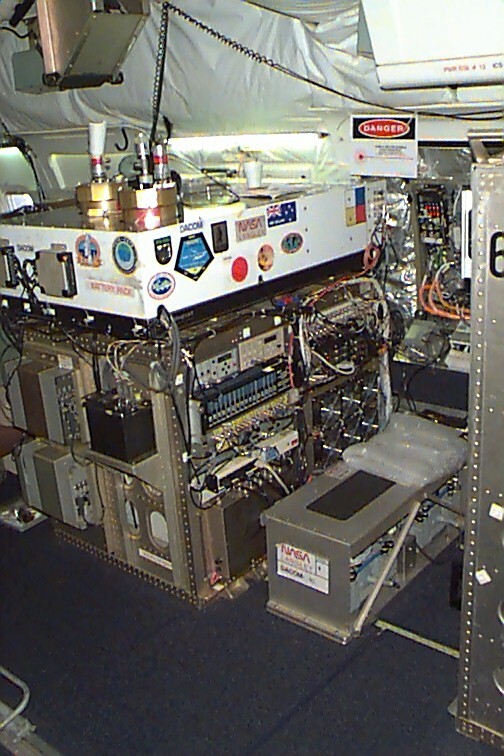 Measurement accuracy is closely tied to the accuracy of the reference gases obtained from NOAA/ESRL, Boulder, CO. 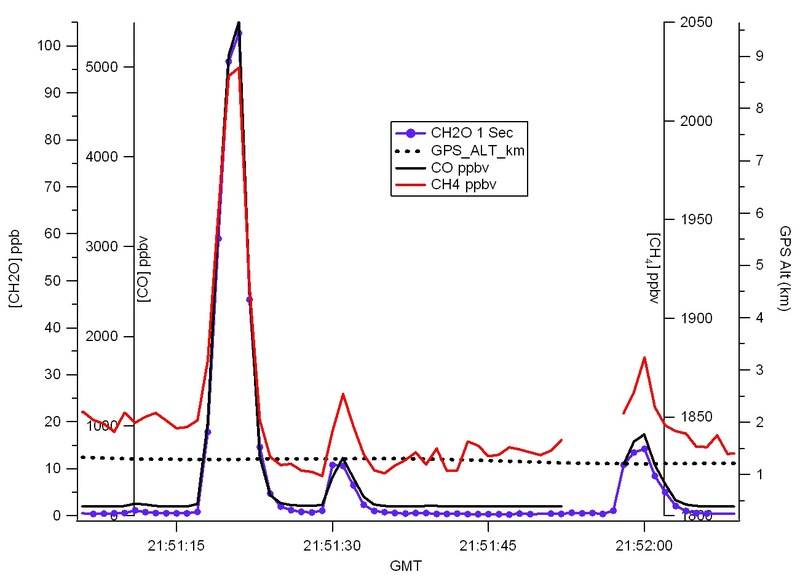 Both CO and CH4 mixing ratios are provided in real-time to investigators aboard the DC‐8.